Some weeks ago we wrote about Department for Work and Pensions (DWP) plans to outsource certain key functions of the Health and Safety Executive, effectively privatising parts of the organisation. At the time of the announcement, many commentators expressed concerns about whether a part-privatised HSE would be able to provide the same level of impartial service. Publishing their final response to the plans last week, the DWP has agreed that the HSE should remain a non-departmental public body. As such, they agree that the HSE should remain an independent “arms length organisation” (ALMO), retaining all functions in-house. The review looked at 38 different proposals put forward by Martin Temple, chair of the manufacturing trade body EEF, who was tasked with leading the review. Among the factors under consideration were service delivery, interaction with other government bodies and whether the HSE could ‘sell’ its services to other businesses. The DWP has decided to uphold the majority of Temple’s recommendations. The HSE will also continue to fulfil its current obligations. Despite the response, the government intends to set up a new steering committee that will continue to look into ways by which the HSE can increase commercial activities and revenue. The government is also planning to set up a new panel who will review the Fees For Intervention (FFI) levied on firms found to be in breach of health and safety legislation. The panel is supposed to look at the impact charging fees may have on the relationship between the HSE and business. FFI remains a contentious issue for UK businesses, and most welcome the promise to review the current appeals process. Businesses disputing their FFI charges, currently struggle to overturn fees where there is a disagreement between them and the HSE. Clearly the government still has plans to use the HSE’s experience and expertise to generate new revenue at home and abroad. The DWP has also chosen not to accept Temple’s recommendation that HSE funding be increased. In that regard it would seem that the HSE may have become a victim of its own success – a reduction in workplace related deaths without a corresponding increase in budget means that the government is unlikely to give assign more money. The good news for businesses and employees alike however is that the government has reaffirmed its commitment to ensuring health and safety standards for all. And an independent HSE continues to be key to both. 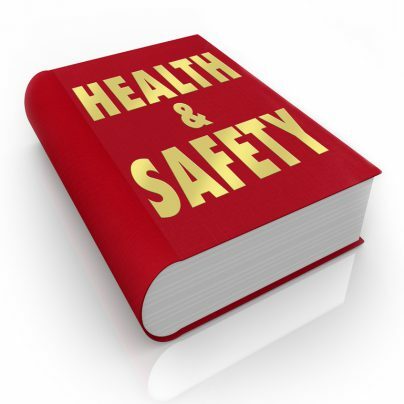 Is your health and safety documentation up-to-date?